Much new data on late Precambrian and early Phanerozoic metazoan fossils have recently emerged as a result of discoveries of new fossil sites (Mikulic et al., 1985; Conway Morris, 1989; Hou et al., 1991), reinterpretation of earlier findings (Whittington, 1980; Conway Morris, 1985b; Conway Morris et al., 1987), and application of new paleontological techniques. Chemical extraction from the rock matrix of originally phosphatic or phosphatized skeletal fossils (Rozanov et al., 1969; Qian and Bengtson, 1989;Bengtson et al., 1990; Dzik et al., 1993), as well as finely phosphatized arthropod cuticles and soft tissues (Müller, 1979, 1983; Müller and Walossek, 1985; Andres, 1989) has appeared especially fruitful. 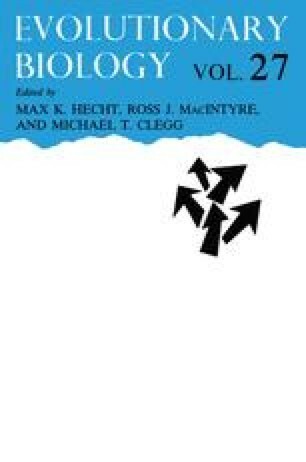 The importance of this new source of evidence has been inadequately acknowledged not only in the zoological but even in the paleontological literature, partly because of diverging opinions on the significance of geological age in phylogenetic inference (Patterson, 1981; Briggs and Fortey, 1989).